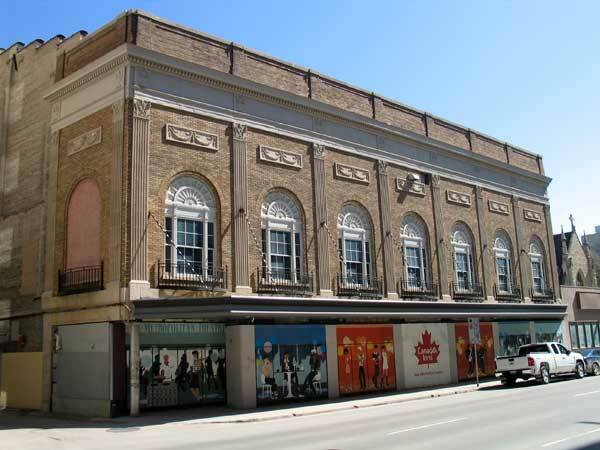 This building was constructed in 1919 as the Allen Theatre, part of a national chain of movie theatres owned and operated by brothers Jay J. Allen and Jules Allen. Like all the 45 theatres in the Allen chain, the building was designed by architect C. Howard Crane of Detroit, Michigan. Its main auditorium and mezzanine had seats for 2,500 people. In 1923, the company was acquired by Famous Player Canadian Corporation and the theatre was renamed the Metropolitan. It underwent renovations in 1948. Facing competition from multiplex theatres, the Metropolitan closed in November 1987. Various plans for it were proposed in the 25 years that the building, a municipally-designated historic site, was vacant, including a restaurant, rock-and-roll museum, and conference centre. In 1991, the building was designed as a site of national historic significance by the Historic Sites and Monuments Board of Canada and a commemorative plaque was installed in early 2018 in its present incarnation as the Metropolitan Entertainment Centre, opened in 2012. Metropolitan Theatre (281 Donald Street), City of Winnipeg Historical Buildings Committee, October 1986. “Curtain drops on Met,” Winnipeg Free Press, 21 November 1987, page 21. “Another shot for The Met,” Winnipeg Free Press, 30 June 2011, page 6.